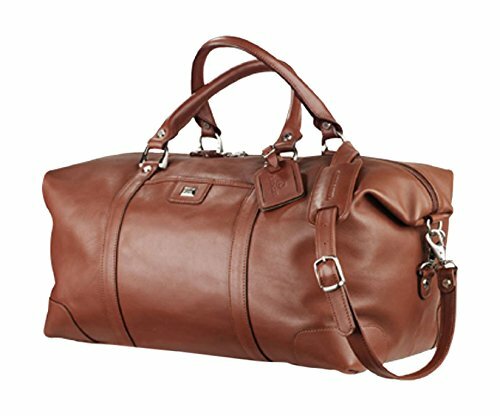 This Cutter & Buck Classics Vintage Leather Weekender Duffel Duffle Bag Feature with Roomy main compartment. Interior organizer for pen, phone, ID Card and large zippered pocket. Includes genuine top grain leather identification tag. Bottom board with metal feet to protect of the ground. Satin nickel hardware with detachable, adjustable shoulder strap. Dimension: 11.25"W X 9"H X 19" L. It the best choice for the travel, business trip, Gift and other. Made with hard gloss leather duffel, Color: Chestnut. Interior organizer for pen, phone, ID card and zippered pocket. Adjustable shoulder strap and handler. Dimension: 11.25"W X 9"H X 19" L.
If you have any questions about this product by Cutter & Buck, contact us by completing and submitting the form below. If you are looking for a specif part number, please include it with your message.